No Conversion vs. Conversion Module vs. Conversion Harness: Which to Use for 40G Parallel Solution? When talking about 40G cabling, MPO cable is the most common choice for data center managers to use. 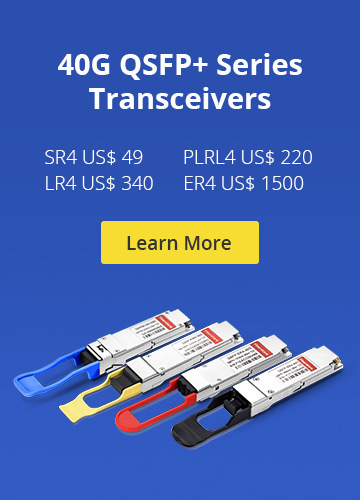 Today, I’d like to talk about three types of MTP cabling options for 40G parallel connectivity. The first type is to deploy MPO 12 cable and ignore the unused four fibers. And the other two types are using conversion module or conversion harness to convert two 12-fiber links into three 8-fiber links. So the three cabling options—no conversion vs. conversion module vs. conversion harness: which to use for 40G parallel solution? For no conversion scenario, 12-fiber based MTP trunk cables are deployed in the whole 40G connectivity. But in this situation, 33% fiber is not used. And there will be additional cost associated with the purchase of additional fiber. Moreover, the whole system includes unused fibers. With using conversion module, it can convert the unused fibers into usable fiber links. For every two 12-fiber MTP connectors in the backbone cable, you can create three 8-fiber links. Although there will be additional cost for the additional MTP connectivity, it can be offset by the cost savings from 100% fiber utilization in the structured cabling. When reusing existing deployed MTP cabling, great value will be gained if using conversion module to use all previously deployed fiber, and you eliminate the cost of having to deploy additional cabling. This scenario uses standard MTP patch panels and 2×3 MTP conversion harness. It does not add any connectivity to the link and full fiber utilization is achieved. Although it seems attractive, it involves considerable cabling challenges. For instance, if you only need two 40G connections to the equipment, what do you do with the third 8-fiber MTP connection? Or what if the 40G ports are in different chassis blades or completely different chassis switches? The result will be long assemblies, which will be difficult to manage in an organized way. For this reason, this kind of solution is expected to be the least desirable and so the least deployed method. For the three types of connectivity solutions, the “No Conversion” solution, using traditional 12-fiber MTP connectivity and ignoring unused fibers, has the advantage of simplicity and lowest link attenuation. And as it does not use 33% of the installed fiber, it then requires more cable raceway congestion. The “Conversion Module” solution, converting two 12-fiber links into three 8-fiber links through a conversion patch panel, uses all backbone fibers and creates a clean, manageable patch panel with off-the-shelf components. But it would lead to additional connectivity costs and attenuation associated with the conversion device. The “Conversion Harness” solution, converting two 12-fiber links into three 8-fiber links through a conversion harness and standard MTP patch panel, uses all backbone fibers with additional connectivity. 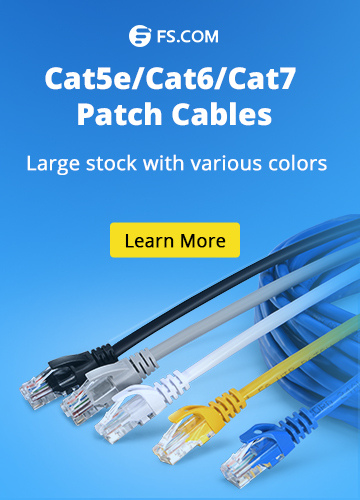 But it would create cabling challenges with dangling connectors and non-optimized-length patch cords that require customization. Generally, the implementation of the conversion module solution is recommended, especially if you are using previously installed MTP trunks. Conversion module solution allows 100% fiber utilization while maintaining any port to any port patching. And if you are installing new cabling, then you can consider the no conversion solution, assuming that the cable raceway is not a concern. The conversion harness solution is typically deployed only in specific applications, such as at the ToR switch, where 40G ports are in a close cluster and patching between blades in a chassis switch is not required. From what have described above, have you had a better understanding of these three types of 40G cabling solution? Each type has their own advantages and disadvantages. For those three solution choices—no conversion vs. conversion module vs. conversion harness: which is your choice for 40G parallel solution? MTP/MPO Cable conversion harness, conversion module, MPO cable, no conversion, no conversion vs. conversion module vs. conversion harness. permalink.